​Redshift was caused mainly by dark matter, dark energy, or some things else such as cluster of galaxies' gravitational lensing, the curvature of spacetime, not from galaxies moving away from us. Dark energy is (functionally equivalent to) cosmological constant, a constant energy density filling space homogeneously which Einstein added into his equation to grant a static universe. In other words, dark energy is the "energy inherent to space itself". This is the thing we do not understand at all. Dark matter is thought to be a strange form of matter. It is all-pervasive in the universe. 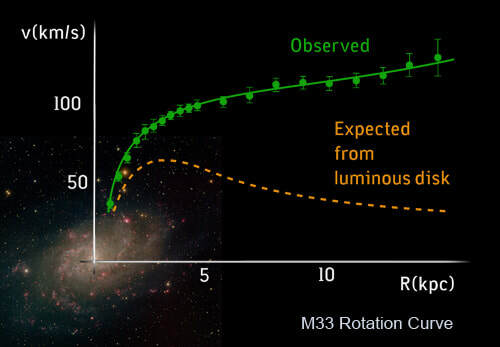 While astronomers can’t directly see dark matter, its effects can still be observed. When a large amount of dark matter gathers in one place, such as the halo around a galaxy, it will exert a massive gravitational force. This field is so strong it can bend the path of light beams passing near it. This might suggest a method to find out if dark matter exists or not: Study trajectory of light in universe at some "empty space"spots (no presence of normal matter). The light from a distant galaxy has been bent so many times before coming to us, because of many layers of dark matters or cluster of galaxies or ... in universe. When the light has been bent, it is stretched or its wavelength is stretched (redshifts). This effect might be thought as: if there were no dark matter in universe, then the sources of light would move away from us (same duration of time) or the space between us and the light sources increased. This expanding stretched out the light caused redshift (see picture below). That was Hubble's law! Hubble thought that distant galaxies moved away from us caused redshifts based on Doppler Effect. Not only dark matter caused redshift, but dark energy might also caused redshift. All ordinary matter objects including photons which move through dark energy might be experienced a "friction" (if spacetime is not perfectly smooth), that slows down photons as they travel vast distance. As we know energy of a photon E = h.f (h is Planck constant), because photon loses its energy, frequency f is decreasing or wavelength is increasing (redshift). The more distant the galaxy, its light has been bent more by dark matters or cluster of galaxies or the curvature of spacetime (more redshift). If there were no dark matter or galaxies blocked the light, then the source of light would seem to move away from us faster as simulation below (Hubble's thought). So more redshift doesn't mean that the source of light move away from us faster, but it means that the light from the source had been bent more before coming to us. Isaac Newton and Albert Einstein were right to protect the fact that Universe was static and the geometry of the universe is flat. Einstein should not worry about universe expands from Hubble's law. He could take back his words “The greatest blunder of my life”. In conclusion, Big Bang Theory has many weaknesses, but the fundamental one is the Hubble's Law. Hubble used Doppler Effect as the main reason to explain redshift because there were no concept of dark matter and dark energy at his lifetime (dark energy and dark matter make 95% composition of the universe!). There are many scientists in the world opposed Big Bang. Here are some notable ones: Sir Fred Hoyle, Erik Verlinde, Geoffrey and Margaret Burbidge, Paul Steinhardt and Neil Turok, etc. 1. Let consider one great argument: If the universe is expanding, why are the Milky Way and Andromeda galaxies on a collision course? Big Bang Theory's Scientists today have only one way to explain this question: In a galaxy's local neiborghood, the gravitational attraction force can be stronger than dark energy repulsive force! This answer does not make sense at all. Why? First of all, we don't know about dark energy, how can we compare its force and gravity force? Second, our Local group comprises about 55 galaxies (including Milky Way and Andromeda) and its diameter is about 10 million light years, while Virgo cluster comprises about 2000 galaxies and its diameter is about 15 million light years. That means galaxies in Virgo cluster are much more crowded than galaxies in our Local group. Will galaxies in Virgo cluster be on collision courses because of strong local galaxy's neighborhood gravitational attraction force? 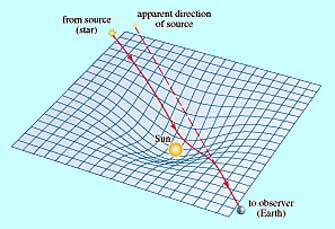 The problem is our Sun is not stay still in Milky Way, same thing for the nearby star. In general, our Sun and the star have different speeds because of their different positions in Milky Way. Our Sun is moving around the center of our galaxy with a speed of ~230 km/s and the Earth is moving around the Sun as Picture B. As a result, after 6 months our Sun has moved away a distance 230 (km/s)*(365*24*3600 (s))/2 ~ 24 AU. This means that Earth is at a new place which is about 24 AU from the old place (below picture), not on the opposite position as Picture A. The star will also at the new place. 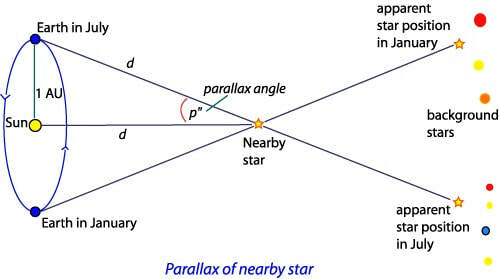 Therefore, the computations of parallax angle and the distance of the nearby star as Picture A are simple but clearly imprecise! Thing will be worse if we consider the effect of gravitational lensing. Because GAIA satellite is around the Sun-Earth Lagrange Point L2 (6), which is 1.5 million km from Earth as Picture C, its trajectory must be mainly similar to the trajectory of Earth as Picture B.